A collection of actual play and discussion episodes featuring Powered by the Apocalypse game systems. The prominent McElroy family takes their popular actual play series into the world of Monster of the Week. Griffin guides his brothers and father through the West Virginia town of Kepler as they learn the truth of monsters infiltrating our world with nefarious intent. The Happy Jacks crew play a huge assortment of systems, including PbtA. As of late they have been playing Demigods, a new system in development by Happy Jacks regular Jason Mills. Check out this series of modern day magical-realism. I had the privilege of talking with Brandon Leon-Gambetta about his upcoming telenovela game Pasión de las Pasiones and I'm pumped for it. You can check it out in action on the One Shot network as they get into their February month of passion. The Off the Table players' storytelling prowess is evident in this actual play of Monsterhearts 2. Covering the messy lives of teen monsters, the show focuses on the ebb and flow of personal relationships to tell a compelling story. Friends at the Table was my first experience with PbtA games in Dungeon World and is still one of my favorite podcasts. Austin is a profound GM and the structure of having two distinct parties whose stories intertwine throughout seasons is compelling. This episode marks the beginning of the second season of Hieron. For full canon though, make sure to check out Autumn in Hieron and Marielda. 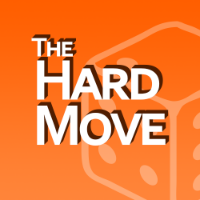 +1 Forward is one of the premier PbtA-focused discussion podcasts, interviewing game designers and discussing mechanics from a wide assortment of systems. Listeners can pick and choose episodes to dig into systems they're interested in but this is a good episode to get a feel for the series. Brie Sheldon returns to talk about Turn, their game about shapeshifters in a small town. We look at destructive & deconstructive approaches to PbtA, as well as why the small-town setting is so integral to the play experience. Meghan Dornbrock of Modifier sits down with game creator Brie Sheldon to discuss Turn, a deconstructive approach to PbtA design focusing on teenage shape shifters in small towns. This system is a great example of how much variety you can find in PbtA game systems. Stop, Hack, and Roll is a great show for anyone interested in tabletop RPG game design and in this episode, the hosts discuss their preferred approach to creating a PbtA system. If you aspire to create your own system or just want a peek under the hood, this is a great episode to check out.